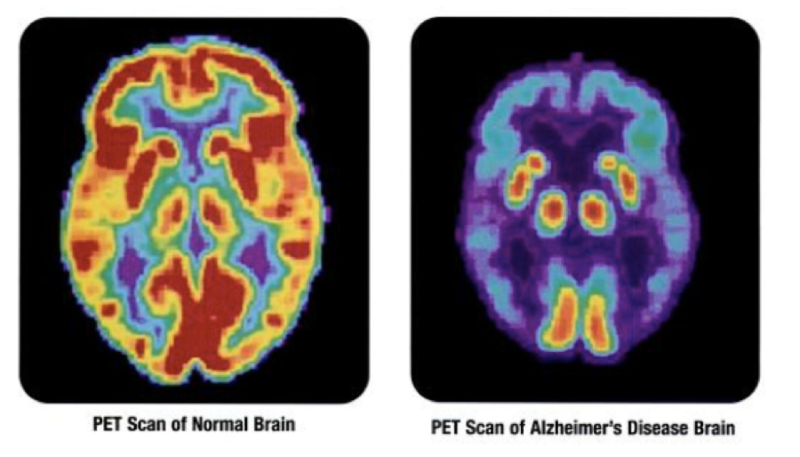 PET Scans Detect Early Signs of Alzheimer’s | Specialty Teleradiology, Inc.
For the first time, scientists have shown that PET scans can identify the progressive stages of Alzheimer’s. A recent study performed at the University of California, Berkeley and published in the journal “Neuron” shines new light on a disease affecting millions of Americans. The scans were able to detect the progression of the disease before patients showed any other symptoms. The research could pave the way for improved Alzheimer’s diagnostic protocol. To better understand the progression of Alzheimer’s, researchers took PET scans of 53 adults between the ages of 20 and 90. Some participants showed signs of Alzheimer’s, while others did not. Breakthroughs in PET scan technology have given doctors more powerful tools to see abnormalities that wouldn’t have been visible before. Previously, the clearest scans were limited to people who had already died. Using modern PET scans, the team observed varying stages of Alzheimer’s progression. The researchers analyzed scan results and searched for accumulated tau and beta-amyloid proteins, as they have previously been associated with the disease. The results showed that once tau proteins had spread beyond the medial temporal lobe, outward symptoms of Alzheimer’s were present. Amyloid proteins also appear to play a role in this process. The team acknowledged that more research is necessary to utilize PET scans as an Alzheimer’s diagnostic tool. Regardless, the results are a promising indication that doctors can identify the disease in its early stages.